And now, the final list, the most important and likely the most hotly debated selection, the top 25 albums of 2014. Some of these entries you will recognize as they've been acclaimed by plenty of publications already, but there are a few surprises here that definitely need their due consideration. One thing to preface this list: while I have seen many year-end lists, these are all my personal choices based upon what stuck with me the most this year. And to qualify, they have to be one of the 210 albums I reviewed in full this year. And believe me, this list had a few painful cuts, but I'd prefer to keep this list smaller and respect the cream of the crop rather than reward albums that might not deserve the same acclaim. But enough, wasting time, let's get this started! 25. The first album on this list is from an unsigned artist - and yet if you listen through this album in depth, you would never know. She beat out plenty of releases that had more marketing and money behind them - and for good reason, because she definitely deserves the slot on this list. From out of nowhere, Karen Jonas dropped a dark, precisely framed, incredibly detailed country record that isn't afraid to sketch out stories of desperate figures trying to claw together something of value, even if the bitter tone and self-awareness means that few of these stories have a happy ending. What this results in is an album that can be a little abrasive in its reality, and yet all the more potent, especially with its intimate presentation and Karen Jonas' quiet vocals placed very close. It's the sort of independent debut that comes out of nowhere and is a little intimidating to tackle, but if you take the time to hear these stories, it's worth the wait. 24. It dropped late in the year, but I'll be damned if it doesn't make my list - funk-and-soul-inspired R&B rarely ever gets this good. This was a fantastic year for R&B, and D'Angelo's long-awaited and yet still surprising return was one of the best moments to cap it off. Experimental in its instrumental flourishes that recall Prince, incredibly textured with every flutter of guitars and keys, D'Angelo went beyond his typical slow jams into material that was sharply political and all the more relevant in a way that recalls Sly & The Family Stone's There's A Riot Going On in its embrace of darker subject matter. Sensual without needing to be explicit, passionate without needing rage, explosive without needing fire, Black Messiah is a slow burn that reveals more and more to like with every listen, and shows that if D'Angelo is going to spend fourteen years working on an album, he's going to goddamn make sure it was worth the wait. 23. On premise alone, I'd be inclined to at least recognize this record. The ambition behind it was pretty damn impressive, and while I can't say they entirely pulled it off, the fact they still managed to create some amazing music to fit with it is incredible. While it's not quite Epica's best work, it's definitely one of their most ambitious, intelligent and difficult albums to date, trying to quantify the struggle to understand unknowable truths and how the human mind just can't take it. It's a record careening on the edge of madness and it knows it, and the operatic symphonic scope only emphasizes how close to the brink they all are. The fact that Epica finally got a handle on solid hooks and managed to bring together a richer symphonic backdrop is all the better, and a good sign that the band might still have bigger dreams than even this. And believe me, I'll be excited to see where they take it. 22. In the wake of Florida Georgia Line's success, Nashville seems to be struggling to find a country duo with the chops and personality to match them - and yet this year, they didn't just find a match, but one of the best albums of the year. Of the two albums Sundy Best dropped this year, Bring Up The Sun was the easy highlight, a sophomore release that found the middle ground between raucous, pounding energy and lyrical ambition to go deeper. Of their three releases, it's also their darkest, showing a willingness to take their hefty guitars, groove-heavy riffs, and pair it with songwriting that soared leaps and bounds above their competition into earnest, occasionally painfully raw songs that knew how to grab at me every time. And yet, it's the cajon that raises this album into greatness, giving the record an a pounding, relentless momentum and personality unlike any others - who would have known a well-made wooden box would mean so much? 21. This was a year where hip-hop turned on itself, the underground elements skewering their mainstream counterparts with increasingly vicious stabs. And yet there was one album that wanted to play both sides against the middle - and it ended up on this list. The fact that a noise rap trio could have any crossover appeal at all is amazing - the fact they did it while still bringing an impressive standard of lyrical wordplay, thematic cohesion, and more refined instrumentation was damn near incredible. Daveed Diggs continues to be a revelation behind the microphone, with the sort of electric charisma that grabs a hold of listeners with every sneering lyric, and with production that balances between eerie noise, industrial, and a creaking skeleton of mainstream hip-hop, it's a record that was willing to play the game to highlight every dark depraved moment, and both revel and mercilessly savage it. If you are looking for an accessible noise rap record that still delivers quality, you need to pick up the self-titled record from Clipping, because with every release they only get better. 20. And to think I picked up this album out of sheer desperation and boredom during the doldrums of the summer - and it turned into one of the most thought-provoking and yet fun records of the year. On the surface, the self-titled record from Canadian band Alvvays might appear to be just another retro-leaning, reverb-swallowed indie rock debut with irrepressibly catchy hooks and a lightweight vibe - but Alvvays has a much more sly intention as it subverts that breezy tone for a record about the internal crises of people of my generation trying to figure out what the hell they want out of relationships, even as their ironic detachment drags them deeper into replicating the same lives they hate. It's a refreshingly smart, genuinely charming record that isn't afraid to have some real teeth when it could have coasted by on retro cool. 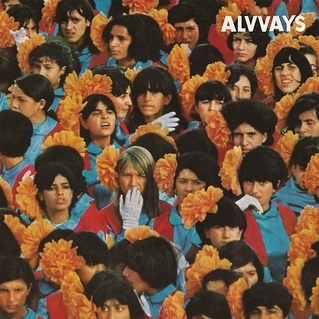 With the perfect dichotomy between sunny instrumentation and lyrics that reveal the underlying neuroses beneath those cheerful smiles, Alvvays made an essential debut album, and it'll be interesting to see where they take it from here. 19. This is one of the most chronically underrated records of the year, and probably the biggest surprise for me. I mean, a pop country record that tries to fill the void of Taylor Swift from a teen soap opera starlet? How could this possibly be good? Well, I'll tell you, it got there by taking established conventions of pop country and refining them down a purely melodic, excellently written, and very well-performed record. Lucy Hale's Road Between was an incredibly welcome surprise for me this year, with vocals that brought maturity, instrumentation that brought a pop-friendly yet still neotraditional country flavour, and lyrics that rise leaps and bounds beyond what is ever expected in this subgenre. For a pop country record to speak with such candor and nuance about young women and their expectations and drives, while still pairing it with a considerable slice of genuine passion, is exceptional, and Road Between definitely deserves a lot more attention. 18. It took her five years and many singles, but she finally managed to pull it off - and while it's not quite her best, it's still enough to earn a slot on this list. Records that normally have as long of a run before release as Sparks did tend to feel a little disjointed, but Imogen Heap brings her top-class production, superb writing, and powerfully melodic brand of indie pop for her best release since Speak For Yourself. A record highlighting those potent yet fragile flickers of feeling that can either sputter out in the vast emptiness or be ignited into something potent. Returning to the potent emotional drama that always anchored his best work with indie pop instrumentals that are quite literally pushing the boundaries when it comes to this brand of electronica-enhanced music with phenomenal organic texture, Imogen Heap proved why she is one of the most recognizable, eclectic, and amazing indie pop artists to ever create a spark. 17. And yet on the other end of that spectrum, while Imogen Heap embraces technology to create her soundscapes, this artist goes for something more heavier, darker, and yet just as powerful. 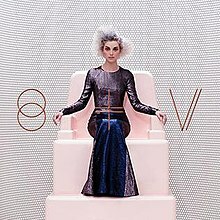 This album has already gotten tons of critical acclaim, and for damn good reason, as St. Vincent takes the inward focus of her previous works and takes her snarled brand of weirdness into the world at large, which oddly makes her stand in even harsher contrast to it. The riffs are nastier, the instrumentation is more alien, her vocals are dispassionate, and her songwriting is more oblique - and yet no less biting, as she tears into the society that would strip away raw, untamed organic feeling for rigid precision. This record captures that tension damn near perfectly, and while I'd argue it's not quite as much of a gutpunch as Strange Mercy, it's still easily one of the best records of the year. 16. Okay, you all knew this one was coming. The fact that Jack Antonoff not only managed to match but surpass his bandmates in fun. with his debut is nothing short of astounding. Strange Desire is a messy, fragmented record, mostly a reflection of its piecemeal construction and the fact that dealing with the confusion and panic that comes with a old flame returning to your life for all of the wrong reasons. At the end of the whirlwind, where Bleachers drags us through the annals of anthemic 80s synthpop, Antonoff might not have won the girl, but he found some brand of internal peace, and in the end that was what mattered. Perfectly framed, excellently written, and Jack Antonoff bringing a surprising amount of personality and charisma to the table, it shows that if fun. ever gets that third album together, Nate Ruess might have to share the spotlight. 15. For a long time I questioned whether this album would stick to this list, or whether I had overrated it when I listened through it the first few times. And yet after many a relisten, I stand by my case, and it still made it to this list. There were a lot of people who unfairly dismissed Temples as a backwards-looking retro act making derivative copies of 60s psychedelic pop. The funny thing is that Temples is well-aware of their sound's origin - and thus they aimed darker, walking the tightrope between the rich sunny feel of some of the psychedelic melodies and the heavier organic depth of the production and lyrics. Taking tight melodic grooves and marrying it to a richly textured mix and lyrics that seem to darkly question the band's place in time, if they have one at all, Sun Structures by Temples remains one of the most cohesive and memorable records of the year - sometimes by remembering one's history, they can surpass it. 14. St. Vincent wasn't the only artist this year to turn her gaze outward to powerful effect, but while she was writing about technological dehumanization, this artist had a much more personal stake. Mike Hadreas' raw intensity has always been one of his strongest assets in the striking piano ballads that began his career, but Too Bright shows him reflecting it back upon the world, and with operatic scope, grander instrumentation, and lyrics that proves all too willing to throw everything on the line, listeners be damned, he made something both grandiose and yet uncomfortably raw. He displaces his fear, knowing how its root causes are outside of him, and forces those who would drive him down to face their own deeply held insecurities - if they can. The fact that he fused it with some of the most breathtakingly gorgeous and genuinely chilling instrumental moments of the year is absolutely mindblowing, and it easily made this one of the best albums of the year. 13. Of the records I've listed thus far, most are a pretty easy listen - they might make you uncomfortable for a few moments with the subject matter or presentation, but they're accessible enough. This album is the direct opposite, a labyrinthine behemoth that demands attention - for good reason. This year, Michael Gira took his gargantuan sounds and made them colossal, drenching them in blacked out blues rock, washed out noise and the pummeling no-wave grooves that made him famous. A two and a half hour long monstrosity in form, in substance it aims for something different, looking to tap into the primal deep-seated emotions where one finds childlike fears and wonder. The sounds are so huge because they are designed to draw us back to our past where everything was that huge, implacable, and barely understandable. The purity of raw emotion driven by every cacophonous groove, from chaos and order and back to entropy again and again creates a singular experience, and one that demands some endurance, and while I'm still not sure it's better than Children Of God or The Great Annihilator, it's still something that must be heard to be believed. 12. Hip-hop was in an odd place this year - the mainstream struggled for real identity in the face of social turmoil many artists didn't know how to address, and the underground pounced on those failures. And yet there was a place for a record that took things back to old-school basics in the best possible way. The pairing of Freddie Gibbs and Madlib was outright inspired. Madlib brings a collection of textured, early-to-mid 90s inspired beats full of 70s blaxploitation samples, and Freddie Gibbs rides them better than he ever has. With this record, not only does he show more versatility as a rapper with pure skill and lyrical construction, he also goes deeper into his own real life problems and anxieties as a modern day gangsta, with his father being a crooked cop and his uncle a drug addict. In the wake of this year it feels all the more relevant, but that shouldn't take away from the fact that its an incredibly solid and compelling record from the guest stars to the more progressive themes. This isn't just a record that I really love, but one I can respect, and one that shows a collaboration that nobody expected would work, but paid huge dividends all the way. 11. Of course, on the other side of that balance is this record - and really, even though I will say it is a great step in the right direction from their last album and are trying new sounds, I wholeheartedly expect this record will not show up on any other lists. And I really couldn't care less, because I loved it all the same. I was not expecting to enjoy Bang! as much as I did, but call it taking a working formula and building off of it. By taking steps away for direct imitation of the late Steve Lee, Nic Maeder defined his own identity with the band who are delving deeper in blues rock and even symphonic music. It's a dirty, rough-edged, recklessly fun hard rock record that shows the band on point melodically and even lyrically, showing more nuance than most hard rock bands will ever bring to the table. In a year where so much music was downtempo and dark, or understated and 'tasteful', Gotthard's Bang! was an injection of wild fun that shows the band operating at their best, and I couldn't ask for anything more. 10. This is another album that I'd argue is underrated, particularly in a year where R&B came back in force, but it's also a case where I'm not surprised this record might have missed with some people. It's subtle, it's a slow burn... and when it finally clicks, it earns its slot on this list. On the surface, many would just deem Jhené Aiko's debut just another R&B record about breakups, but really it goes a lot deeper than that. Featuring some of the most organic and melodic production in R&B this year mostly courtesy of No ID, it shows a repeating series of troubled and failed relationships but frames the struggle through a spiritual breakthrough that is most reminiscent of Eternal Sunshine Of The Spotless Mind. The writing is intricate and layered, Jhené flexes her entire dramatic range in order to sell the complicated framing, and with instrumentation leaning more heavily on guitars over keyboards has a unique and beautifully textured flavour that makes it really stand out. Easily my favourite R&B record this year, I'm expecting some great things on the horizon. 9. Granted, Jhené Aiko's album wasn't the only record about snapping out of toxic inertia - this one was just more aggressive about it. The comeback record that nobody expected, Sage Francis delivered some of the most well-constructed, frighteningly poignant, and blisteringly honest wordplay you'd hear this year, every line dense with detail and wordplay. Of the many hip-hop albums tearing into the genre this year, Sage Francis was probably the most direct, but his anger had a much wider sweep and societal targets who deserved all of the vitriol - including himself - and against rough-edged and varied production that had a layer of grime and texture pulled from the indie rock he delved into with Li(f)e, it was one of the best painfully self-aware shocks to the system that rap music needed this year, and oh did it work wonders. 8. There is nothing like this album that I've ever heard - period. It's not a record that's easily explained and categorized, and if it was just a shade weaker, it'd probably be easier to dismiss as just an oddball vanity project. But as it is... it's incredible. This album is a labour of love and you can tell from every verse. 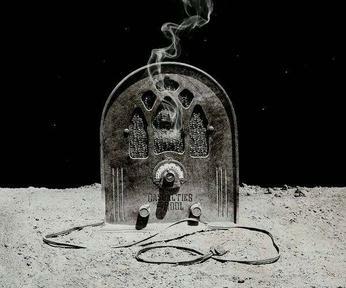 Devin Townsend's sci-fi blend of Americana-drenched country with his usual progressive rock and ambient tendencies created a singular entity, a record of windswept creaking texture, atmospheric emptiness, and melodic grooves that only seemed to emphasize time slipping away. Coupled with Che Aimee Dorvall's haunting vocals and lyrics that show Townsend confronting the roots of fear itself, it's a record that shows experimentation paying off in the best possible way. I overlooked this album far too long this year, and I won't be making that mistake again, because this is something special. 7. This is likely to be one of the more contentious additions to the list, specifically from the fans of this band. For one, it's a shift in sound towards something that's brighter, more vibrant, maybe even more mainstream-friendly music. But I'll say this: if the mainstream could get music this amazing, we'd all be better off. Albums that cross as many genres and sounds as Poets of the Fall do tend to get controversial, but Jealous Gods brings a level of thematic cohe sion and larger-than-life production and sweep to back it all up. Not only does it feature lead singer Marko Saaresto in top form, it features some of the band's most striking melodies and imagery they've ever put on record. Sure it's hyperbolic, but this is a record that's seeking to capture the grand scope of tragedies larger than the human experience, relatable through their concept but elevated by their execution. In short, it's a magnificent record and definitely worth high praise and a slot here. 6. If you've talked to a country music critic at all this year, they will have inevitably mentioned this album. So much so that its inclusion on my list is pretty much expected. But then again, when it's this great, I'm not about to disagree. Long-time fans of Sturgill Simpson expected that he was going to deliver quality on his sophomore release, but they probably weren't prepared for this, taking his usual brand of dark textures and detailed yet oblique songwriting and sending them whirling into the void of psychedelic country. With top of the line gritty production from Dave Cobb and Sturgill Simpson's most striking performance yet, he has definitely earned the acclaim, but there's a lot more beneath the surface in terms of the songwriting and themes surrounding finding love in a world of sin that he handles masterfully. And I'd argue there's even still more room for him to improve and grow as an artist, so I can't wait for whatever brand of off-beat weirdness Sturgill Simpson explores next. 5. This is another album that's earned all sorts of critical acclaim - in fact, it's apparently the most critically acclaimed album of the year, showing up on more best lists than any other record this year. There's a reason for that. 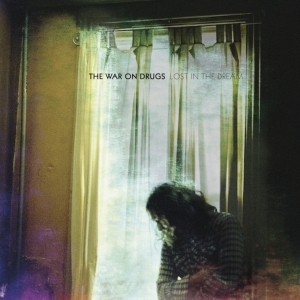 This is probably the first album from The War On Drugs that can proudly stand on its own without any qualifications surrounding Kurt Vile, and really, the fact that it does hold together as well as it is does in its meticulous construction, gorgeous melodies, and precise blend of washed out shoegaze and mid-80s Springsteen-esque roots rock is a testament to its power. Sure, at the end of the day it's just another record about its author's existential crisis brought upon by breakups and depression, but Adam Granduciel nails the tricky balance between intimate and populist in crafting his story. This is rock music drenched in Americana mythology and themes and yet is introspective enough to question them with eyes to the wind, red from what they might see. 4. The fact that this guy is, as we speak, one of the highest charting artists in the US is a little baffling to me - and yet to some extent, his existence and this self-titled debut album fills me with a lot of hope. I mean, if this is where the charts are leaning, we could be in for something special. Hozier's the sort of singer-songwriter who has such a defiantly unique sound and presence to be instantly recognizable. 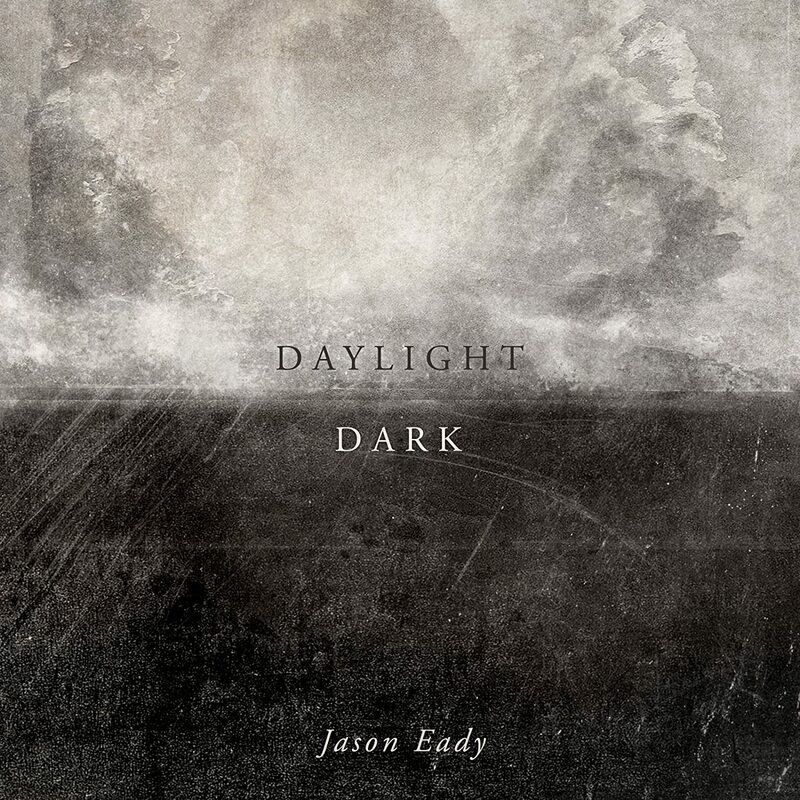 A potent baritone that with the melancholy of soul and the fire of blues rock, a varied sound blending grimy folk, gospel, and even elements of gothic rock into a darkly textured, ominous record that shows themes of human weakness and nihilism that he undercuts with only the faintest glimmers of hope, which are all the more special for their scarcity. Coupled with stellar detail-overloaded songwriting that draws from classical mythology, old-school blues, and nuanced modern framing, Hozier's self-titled debut is leaps and bounds ahead of so many of his competition, and I can only hope he becomes known for more States-side beyond 'Take Me To Church', because this album is really something powerful. 3. I'm a little surprised this record landed so high for me - but with every listen, it resonated more and more and I had to put it here. It's rare you get rap albums that are this cerebral, pointed, cohesive, and relevant, that require this much effort to untangle - but oh, it's worth it. I've always liked Open Mike Eagle's project for their straightforward honesty, intelligence, and slightly off-kilter production, but this is his best work yet. Built around themes of finding some form of connection, it takes slightly quirky or comedic elements and shows a wealth of deeper meaning behind them, all set against production that alternates between shimmering waves of beauty and glitchy fragments. 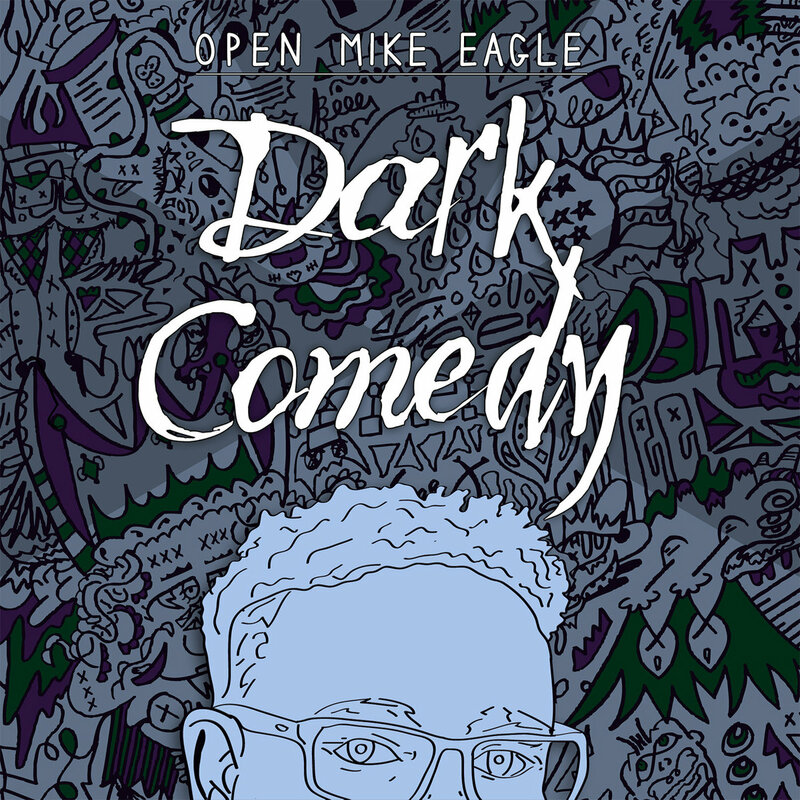 Another album openly critical of hip-hop and the culture around it, Open Mike Eagle goes deeper to discuss society at large, with so much nuance to capture a reality that would less outright scorn his insight than just ignore it, which is the real sad joke. But nobody should ignore this record, not just because it's poignant and vulnerable and altogether real, but because it's a damn incredible piece of music that's definitely worth your time. I'll be honest - originally, I didn't think they could pull this off. The first Run The Jewels album was exceptional, a hard-edged barrage of smart rhymes, great production, and two MCs who played off each other masterfully. And some Run The Jewels 2 managed to top it in every way. Harder, faster, stronger, better guest stars, more varied, layered, and explosive production, and content that showed Killer Mike and El-P unafraid to get political in a year where hip-hop needed to be. But even putting aside how shockingly relevant and righteous this album feels in 2014, to overlook the sheer craftsmanship, the technical wordplay where each artists can swap out for each other effortlessly, the interweaving punchlines, the creativity and sense of humour that can remain progressive and yet relentlessly juvenile and make it all fell cohesive. Honestly, I could go on for days about this record. The masterful samples, the genre-pushing sound, the righteous fury behind it that's backed with real intellect and raw emotion, but at the end of the day my pick of Run The Jewels should be self-explanatory and self-evident, because this record is the burst of violent life 2014 needed - and to top it off, next year we're getting a remix album full of cat sounds called Meow The Jewels. Run The Jewels 2, the top album of 2014, and El-P, Killer Mike? You guys are on the way to becoming legends with something like this - you can pick up that crown now.